Aegon today announces that it has strengthened its existing partnership with Atos, by announcing a 15 year contract to service and administer its Existing Business (non-platform customers). This will further improve customer service for around 1.4 million customers with a multitude of different policy types. Since 2016, Atos has successfully serviced and administered Aegon’s 500,000 protection customers and has an excellent understanding of Aegon’s business, culture and ways of working. Aegon continues to be the product provider and will continue to carry out the regulatory responsibility for its Existing Business products, many of which stretch back over 40 years. The same teams currently supporting the Existing Business, will remain in Edinburgh, and will provide continuity of service. The teams will also benefit from Atos’ ambition to win similar contracts from other providers and develop an Edinburgh-based centre of excellence in administration of life and pensions business. Aegon will continue the administration and servicing of all platform policies and schemes across Aegon Retirement Choices (ARC), Aegon Platform (previously Cofunds and Investor Portfolio Service),TargetPlan (previously BlackRock), Aegon One Retirement, Retiready and our Institutional platform. These services are on platform and are unaffected by this announcement. 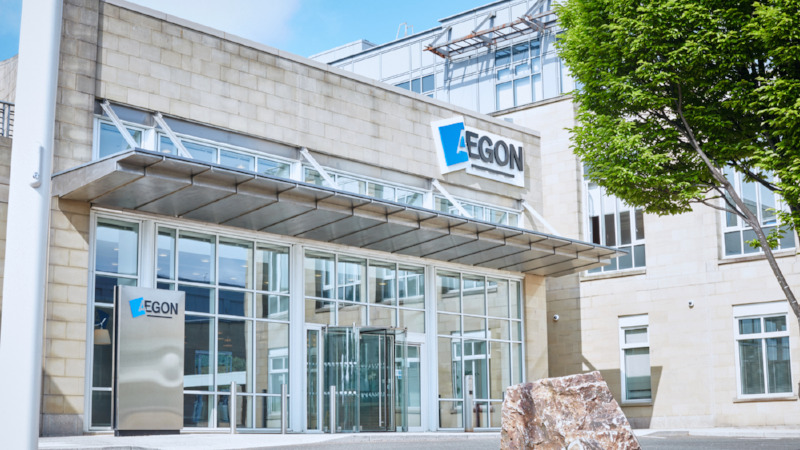 This agreement is expected to lead to annual run-rate expense savings for Aegon of approximately £10 million initially, growing to approximately £30 million over time. Total transition and conversion charges are estimated to amount to approximately £130 million, and are expected to be recorded over the first three years of the agreement. Brian Linn, General Secretary of Aegis the Union said: “We are encouraged that Aegon’s review of Existing Business has resulted in a solution that guarantees the future of the Edinburgh site and provides opportunities for growth with a commitment to no offshoring of jobs.